The services Space Coast Doulas provide can make a difference during pregnancy, birth, and postpartum. ​We believe, and research has shown, that women who have doula support tend to have shorter labors with fewer complications and less medical interventions, including cesareans. And that families who have good support have an easier transition to parenthood, with greater success breastfeeding and less postpartum depression. The Space Coast Doula Co-op is a diverse group of doulas who have come together to offer support, mentoring, and continuing education to our member doulas so that they, in turn, can provide the highest quality doula services to their clients. Feel free to click on our individual pages to get to know our members. We encourage you to contact more than one doula for information and to set up free consultations. ​Each of our doulas is unique in her training and experience and we are confident that you will find one who is the perfect fit for you! As a co-op, the Space Coast Doulas have chosen to work collaboratively by sharing knowledge, resources and support. While each doula works individually with her clients, the co-op provides mentorship and continuing education to our member doulas, facilitating professional growth and development. 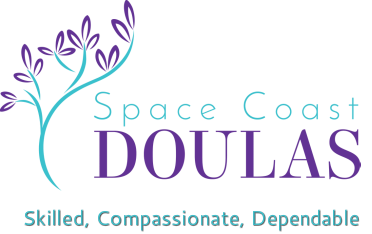 ​If you are a birth or postpartum doula, doula-in-training, or just considering a doula career, you may contact us at membership@spacecoastdoulas.com for information about co-op membership. ​so that they may offer the highest quality doula services to the families of the Space Coast.